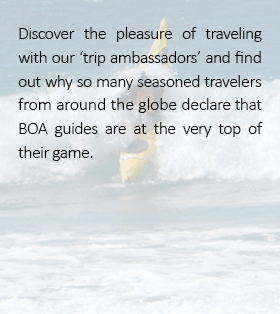 one of the planet's iconic sea kayaking destinations. 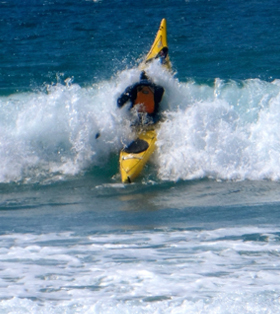 Espiritu Santo is one of the planet´s iconic sea-kayaking destinations. 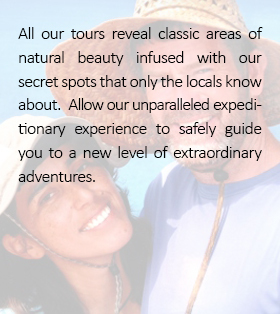 Trip Style: Choice of Fully Catered and Co-operatively Catered. Wildlife: Californian Sea-lions, tropical fish, endemic ring-tailed cat (Babisuri), whales (seasonal), dolphins, manta rays, Pelicans, Blue-footed Boobies, Ospreys, Frigates, Herons and Egrets. 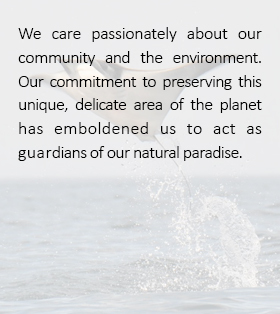 Includes: Certified, bi-lingual naturalist guide(s) & cook(s). Singles and/or double kayaks, all kayaking gear, camping equipment, transportation to and from your La Paz hotel to the Island. 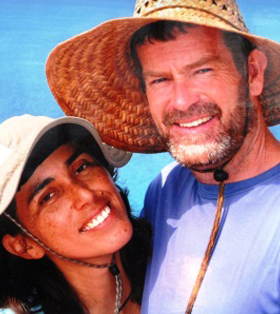 All food and beverages during expedition including, cold beers, happy hour and wine with evening meal. Two nights hotel in La Paz. Farewell Dinner in La Paz restaurant. Available for rent: Sleeping bags, snorkel sets and wet suits. Espiritu Santo is one of the planet's iconic sea-kayaking destinations. The UNESCO site and Mexican National Park island provides unbeatable scenery and spectacular camping beaches. We recommend that it is placed at the top of everyone's "bucket list"!! 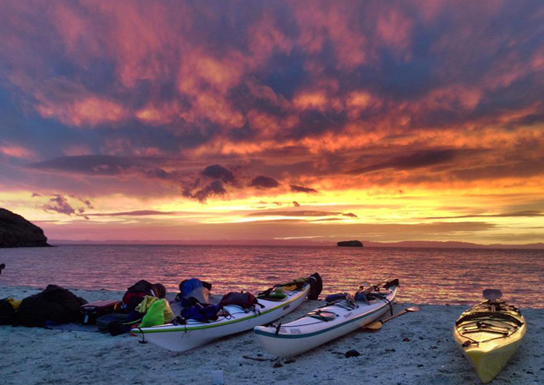 Join us for 7 days sea-kayaking around the island in state of the art expedition sea-kayaks. The rugged shoreline, off-shore islands and series of headlands and deep bays make each day a new adventure. The west coast of Espiritu is studded with some of the most spectacular white, sandy bays you can imagine while the east coast has enormous towering cliffs, bizarre rock formations and alluring sea caves. 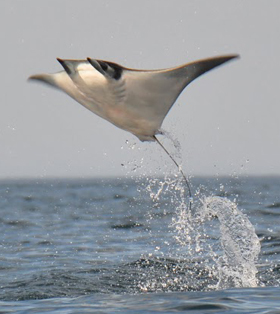 After paddling approximately 3-4 hours each day we will have plenty of time to snorkel, swim with sea lion pups, hike intriguing volcanic arroyos, bathe in the glorious Baja sun, watch manta rays leap up out of the water, admire a school of dolphins, explore hidden inland lagoons, sip a margarita and relax in great company. 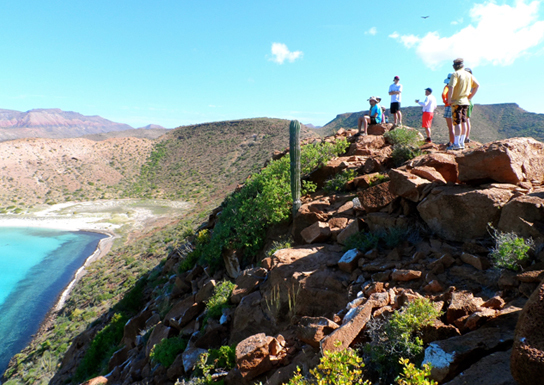 Isla Espiritu Santo really is paddling in paradise, just ask anyone that has been there! 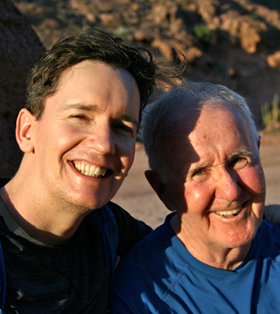 Day 1: Arrive in La Paz, check into your hotel room and at 9:00pm meet your guides for a trip briefing. Day 2: Transfer from your hotel in La Paz to Espiritu Santo Island in BOA's high speed motor boat. Guides discuss points on safety and provide beginners with the basics of sea kayaking and correct use of gear and kayaks. In the afternoon we embark on our first paddle beneath spectacular volcanic cliffs and arrive at the first of many beautiful beaches to set up camp. Day 3: Continue in our kayaks exploring a new section of coastline with small off shore islands where numerous sea birds nest. 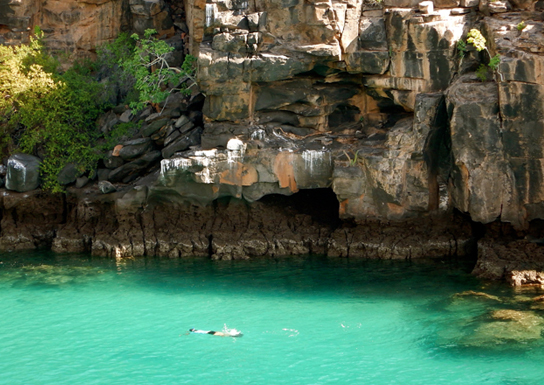 Our next bay has an intriguing canyon with dry waterfall and a fresh water well where we can enjoy a refreshing rinse! Camp on a new beach. Day 4: Today we will kayak to the north end of the island crossing over to Isla Partida and setting base camp for two days in Ensenada Grande. Day 5: This is our lay over day - time to relax those paddling muscles! We will take a boat ride out to an exquisite off shore islet which is home to a large sea lion colony. Here you can experience the amazing thrill of swimming with sea lion pups and snorkel amongst thousands of tropical fish. Day 6: Continue around the north end of the island for our first paddle along the east coast. A sharp contrast in scenery with spectacular towering cliffs. We will paddle through a narrow channel between Espiritu Santo and Isla Partida to discover a perfect setting - a natural turquoise "swimming pool" and the location of our next camp spot. Day 7: A dramatic paddle beneath towering cliffs rising up to over 2000ft. We are rewarded with sea caves which skillful navigators can paddle right through. In the afternoon we arrive at our favorite camp spot ~ a magnificent 2 mile stretch of superb sweeping white sand. Last night camping. Day 8: Final morning sea-kayaking to complete our circumnavigation. Lunch and return to La Paz. Check in to your hotel. Time to shop for souvenirs before a farewell dinner together. Day 9: Breakfast and depart. 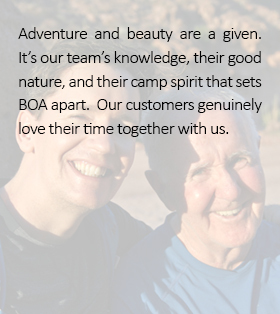 Note: As with all our expeditions, BOA's first priority is the safety and comfort of our guests. In the event of inclement weather and/or according to the group's sea-kayaking ability the guides may deviate from the above route plan. Located just 15 miles north of La Paz this beautiful island is celebrated as Mexico's most popular sea-kayaking playground. We access the "Jewel of The Cortez" by motor boat voyaging due north from La Paz and across the San Lorenzo channel in under one hour. 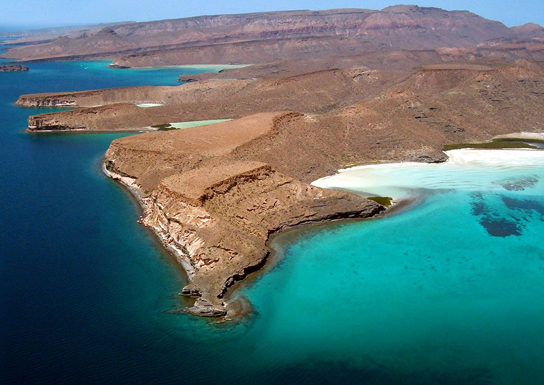 Espiritu Santo was declared part of a Biosphere Reserve by the UNESCO in 1995 and is one of several islands that form the Gulf of California Islas' National Park. The archipelago of Espiritu Santo is made up of several smaller islands several of which are important nesting sites for the region's sea birds. When viewed on google maps one can't help but notice the long fjord like bays that are deeply recessed on the west coast that provide us with picture-perfect camping beaches. "Los Islotes" situated off the north coast of the island forms the crowning glory where a magnificent permanent sea-lion colony resides.